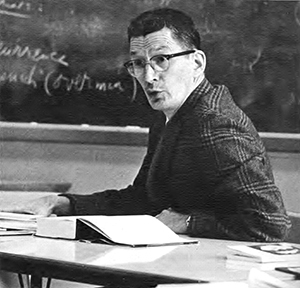 The aim of the Ashby Dialogues is to implement the vision of the late Warren Ashby that the University should be a community of inquiry, with faculty and students engaged in the pursuit of understanding both in and out of the classroom. an analysis of the public policy consequences of a scientific discovery or project. The Ashby Dialogues were created to honor the late Dr. Warren Ashby, who died in 1985. They are planned to bring the community together for programs that embody Ashby’s belief that a university is “freedom in the search for and service of truth.” Ashby was chairman of the Department of Philosophy from 1949-68. He was director of the Honors Program on campus from 1966-69 and was director of the Residential College 1970-76, during its early years. He was acting head of the Department of Religious Studies 1976-78 and was a professor in the department from 1978 until his death.